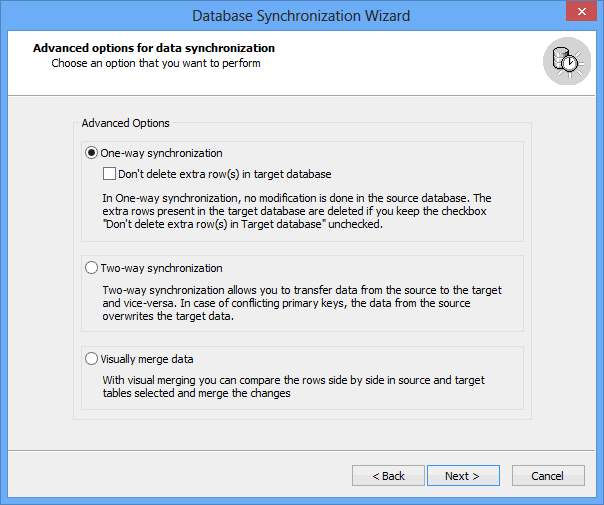 In One-way synchronization, no modification is done in the source database. The extra rows present in the target database are deleted if you keep the checkbox "Don't delete extra row(s) in Target database" unchecked. Two-way synchronization allows you to transfer data from the source to the target and vice-versa. In case of conflicting Primary Keys, the data from the source overwrites the target data.